Our overhaul of these two bathrooms was a study in classic modernism. 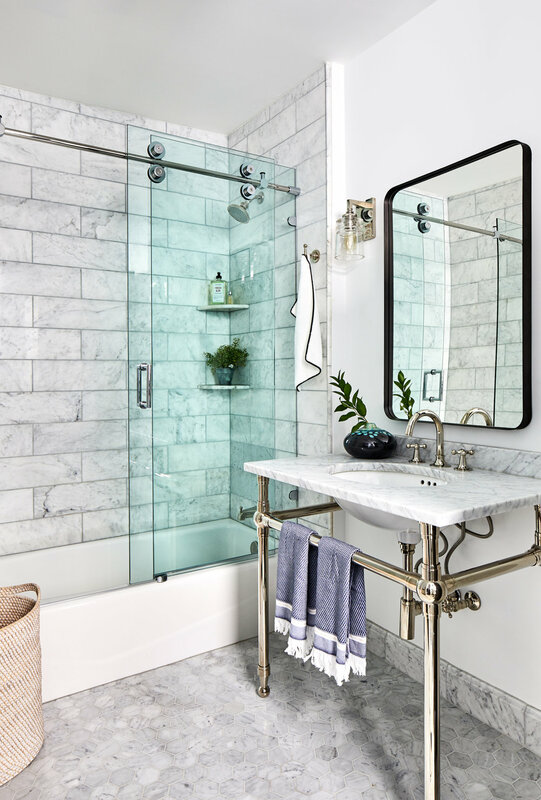 Paying special attention to the home’s history and tipping our hats to the classic New York brownstone, we employed the wisdom of time-honored architectural details like mosaic marble flooring, exposed washstands, and industrial lighting. Storage, always a challenge no matter the city, was made abundant through custom cabinets painted in moody tones and inlayed with metal mesh grilles. Mixed metals provide an unexpected, layered touch to these spaces.